The Garmin nüvi 3597 LMTHD satnav is the brand's latest flaghship GPS device, but what does it bring to the table? The Garmin nüvi 3597 LMTHD is the new top-of-the range in-car Garmin satnav package, and was launched with some fanfare just weeks ago at CES 2013. 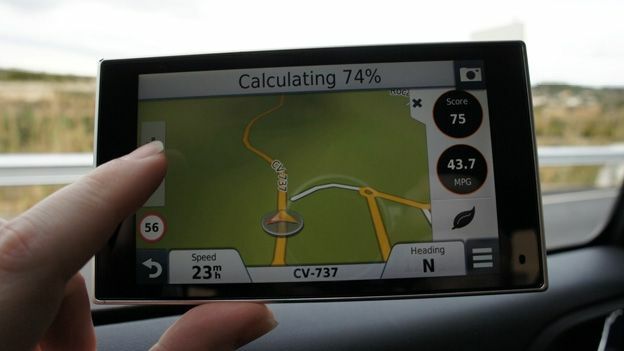 Garmin's new satnav line-up consists of three areas: Basic Essential, Advanced, and Prestige. The Garmin nüvi 3597 LMTHD satnav sits at the top of the latter. We've tirelessly hunted down the first model in Europe to go hands-on. The new Garmin nüvi 3597 LMTHD features several new features – from a completely remapped UI, new case, new chipset and new mounts - it's all change, but how do they all stack up as a package? At first glance, the Garmin nüvi 3597 LMTHD impresses – a 5-inch glass screen is mounted on a slim aluminium body, bevelled Apple-style to minimise it's side footprint, it's one of the most desirable satnavs we've seen. At less than 9mm thick it easily slides into a pocket or purse to defeat the car park teefs. The simple but effective new docking device also looks the part. With a standard sucker and ball joint mount linking to a magnetic dock and locating groove, it means that clipping the Garmin nüvi 3597 LMTHD into place is faff-free. The magnets are sturdy enough to gently pull the unit into the correct position, but light enough that you can release it without a pitched battle. The 5-inch glass 'hi-res' screen has an impressive resolution on a par with many mobile phones, which makes small road name fonts instantly readable, and the UI extremely easy to navigate. The multitouch screen supports pinch and zoom too, so upcoming complex junctions can be zoomed in on with ease. The chipset is equally impressive. Changing destinations while driving at speed barely fazed the unit at all, recalculating, requiring and snapping back to navigation again within seconds. Cold-start times were also impressive, around 20 seconds from power-on to satellite lock. Garmin's big play in the Garmin nüvi 3597 LMTHD are the new integrated services. Sync your smartphone with the Garmin nüvi 3597 LMTHD over Bluetooth, and the unit acts as a hands free kit, delivering calls and messages. Garmin has created the Garmin Smartphone Link Android app (Garmin Smartphone Link) with iOS to follow 'soon' that allows you to take this a stage further and integrate a wide range of data services such as traffic and speedcams, as well as map updates. Other services include weather enroute, fuel prices, dynamic parking and photolive. The latter is a free service that provides still images from roadside cameras of key junctions along your planned route. You can set 'favourite' (or perhaps the opposite) junctions to keep tabs on them before leaving. Testing a unit in the wilds of Spain demonstrated a pretty sound POIs database – perhaps unsurprisingly for Garmin, with a handy side menu that prioritises the nearest loos, petrol and food so they're just a swipe from the main navigation. Of course, the Garmin nüvi 3597 LMTHD is a premium unit, and unfortunately so is the price. Only confirmed US pricing of $380 is available so far, putting the equivalent UK price at around £240.